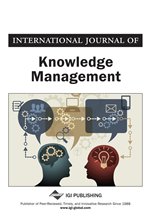 With growing interest in knowledge management (KM)-related assessments and calls for rigorous as-sessment tools, the objective of this study was to apply structural equation modeling (SEM) techniques to refine and cross validate the KM index (KMI), a metric to assess the degree to which organizations are engaged in KM. Unlike previous KM metrics research that has focused on scales, we modeled the KMI as a formative latent variable, thereby extending knowledge on formative measures and index creation from other fields into the KM field. The refined KMI metric was tested in a nomological network and found to be robust and stable when cross validated; thereby demonstrating consistent prediction results across independent data sets. The study also verified the hypothesis that the KMI is positively correlated with organizational performance (OP). Research contributions, managerial implications, limitations of the study, and direction for further research are discussed.